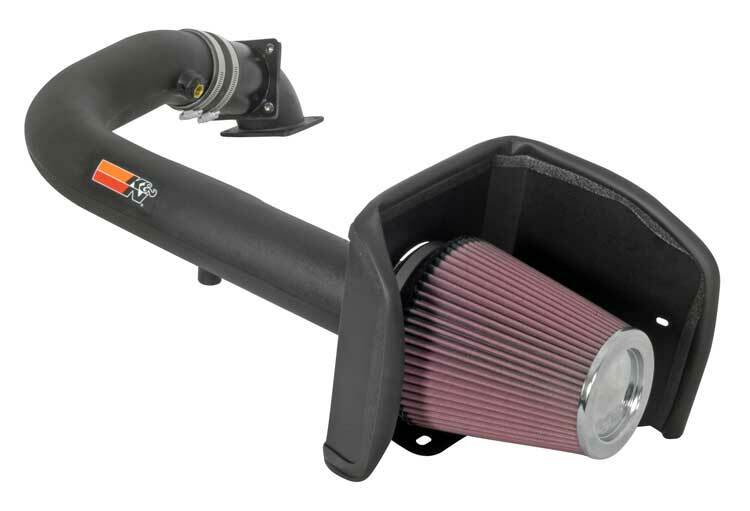 Gain horsepower and torque with a 63 Series Aircharger Intake. A 63 Series Aircharger Intake for your Ford F-series will give your truck more horsepower and torque throughout the entire RPM range. An Aircharger intake replaces your stock intake and restrictive intake housing, and allows your engine to breathe easier. Apart from performance gains you will also see and increase in fuel economy, and a change in your engine's tone as well as a deeper exhaust note. The intake adds to the overall look and sound of your car. With the intake you will no longer need to waste your money on paper air filters for your truck. This is because the filter that comes with the intake is washable, and makes buying paper air filters a thing of the past. With K&N filters, when the filter gets dirty simply wash it down and your ready to go. A 63 Series Aircharger Intake is for anyone who is serious about adding horsepower and torque to their F-series, as well as; receiving better fuel economy, and adding a sense of personalization to your truck. 2006-2008 F-150 5.4L V8 63-2556 15.47 HP @ 3829 RPM RF-1020 11 lb 22.25 in. 14.38 in. 12.5 in. 2007-2008 F-150 4.6L V8 63-2574 9.88 HP @ 4200 RPM RF-1041 11.8 lb 18.5 in. 18.38 in. 12.75 in. 2006-2007 F-250/F-350 6.0L V8 Diesel 63-2546-1 15.53 HP @ 3426 RPM RC-5102 12.1 lb 18.5 in. 18.38 in. 12.75 in. 2005-2006 F-150 4.2L V6 63-2572 7.41 HP @ 4106 RPM RC-5046 11.5 lb 22.25 in. 14.38 in. 12.5 in. 2005-2006 F-250/F-350 6.8L V10 + 2005 F-250/F-350 6.8L V10 Harley Davidson Edition 63-2567 16.21 HP @ 4450 RPM RC-5046 15.3 lb 24.25 in. 20.25 in. 12.5 in. 2005-2006 F-250 5.4L V8 57-2570 21.48 HP @ 4387 RPM RC-5046 14.4 lb 24.13 in. 17.38 in. 15.5 in. 2006 F-150 4.6L V8 63-2569 8.48 HP @ 4775 RPM RF-1041 11.8 lb 18.5 in. 18.38 in. 12.75 in.